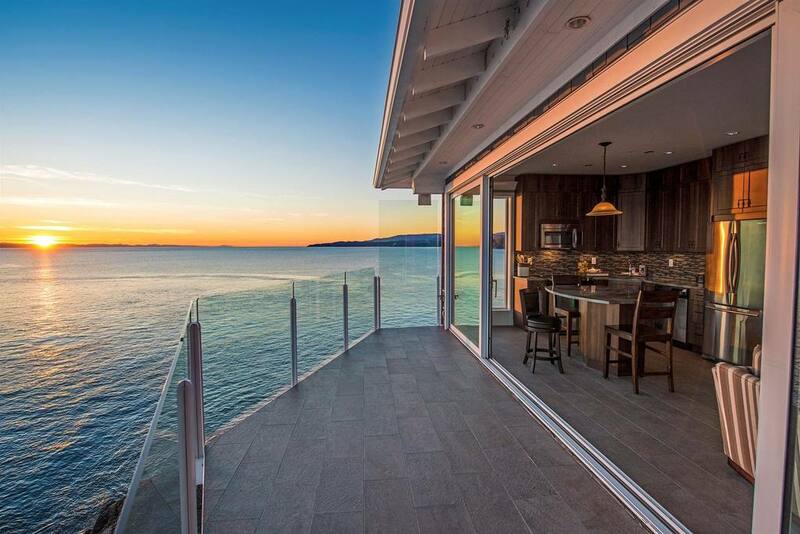 One of the most exciting developments on Vancouver Island in our opinion is SookePoint Ocean Cottage Resort. Right next door to one of the most beautiful park’s in Canada and literally overhanging the ocean sits this incredible opportunity. There’s a lot planned for this part of the Island and for those who have never heard of Sooke before should know it’s only a 45 minute drive from Victoria. SookePoint Ocean Cottage Resort is shaping up to be a place to call home, come for a visit and have a unique little village at your doorstep. I for one look forward to renting an oceanfront unit one day. These two bedroom ocean cottage yacht suites caught my eye and offer one of the best views in the country along with a beautiful setup. These units will be ranging from 1,014 to 1,340 square feet, with the two bedroom suites sleep up to six people comfortably. Each suite features massive glass wall systems so you can enjoy spectacular wall-to-wall ocean views. The pre-sales are currently taking place so you have to register to receive their information package which includes the price list, current availability and floor plans.